Hong Kong hosted the Belt and Road Summit last week, just three days before marking the 21st anniversary of the city’s return to the motherland. And, at the beginning of the summit, the city signed a free trade agreement with Georgia. It was the first such deal between Hong Kong and a country in the Caucasus and will see Georgia eliminate a wide range of import tariffs on goods originating here. This brings the number of such agreements signed by Hong Kong to seven, and local businessmen are expected to benefit immensely from these. I believe that our businessmen, especially those who target the mainland or overseas markets, should take the initiative to actively understand what opportunities have been provided by the government through these free trade deals, so that they can better expand their business. The other six free trade agreement signed thus far are with mainland China, New Zealand, the member states of the European Free Trade Association, Chile, Macau, and the Association of Southeast Asian Nations. Two more FTAs, with Maldives and Australia, are under negotiation. 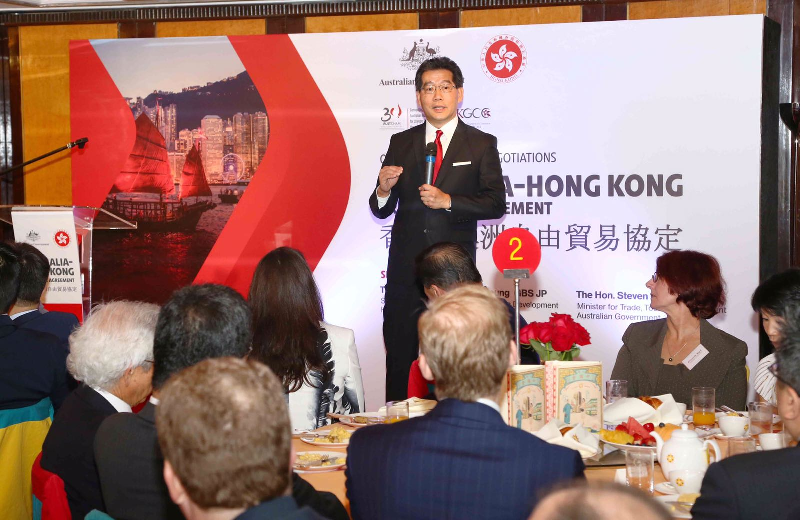 These agreements provide favourable conditions for Hong Kong businessmen to export goods and services to other economies, many of which offer great potential for Hong Kong enterprises to thrive. As Hong Kong is expected to actively participate in the Belt and Road Initiative and the development of the Guangdong-Hong Kong-Macau Greater Bay Area, these trade deals are going to play an even more important role. For example, thanks to the mainland-Hong Kong Closer Economic Partnership Arrangement, Hong Kong legal professionals are given opportunities to enter into the mainland market, which allows them to better participate in these two large-scale economic plans for greater growth. A lot of information is available online and some TV programmes also highlight how Hong Kong businessmen can succeed by virtue of these agreements and the city’s participation in the national plans. Hong Kong businessmen should closely follow these readily available opportunities.